The dream of having our roads full of driverless cars is closer than ever before. A future full of prospects, beneficial to both the consumers and manufacturers. The process however, consists of countless failures with repeated adjustments. Google has already taken a big lead and prototypes are already roaming around the streets all over the world, after all, Google has been working on self-driving cars for years. This did not stop Cupertino capturing Fiat Chrysler’s Doug Betts in July 2015 however. Mr. Betts used to be the Global Quality Assurance Executive at the Fiat Chrysler. 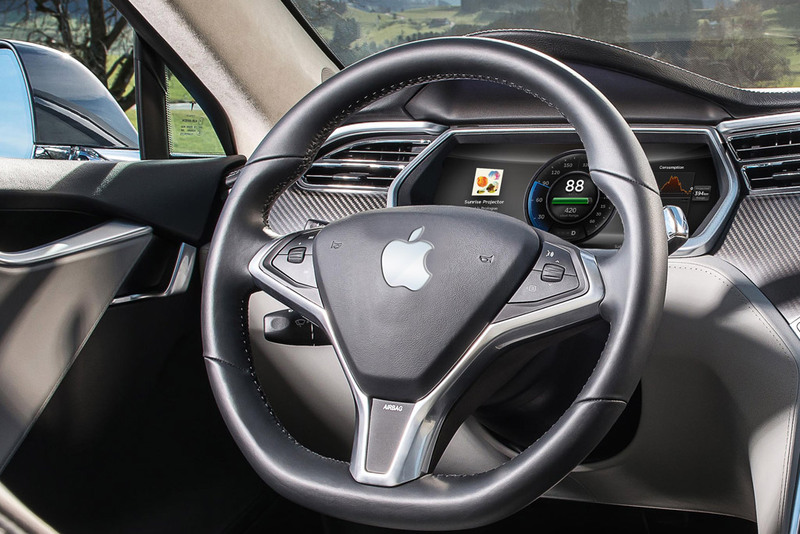 Senior Vice President of Apple, Jeff Williams has mentioned driverless cars to be “the ultimate mobile device” which confirms Apple’s firm interest in this matter, and it goes much deeper than just building fruity flavoured dashboard gadgetry for automotive industry. Apple has also hired a bunch of high profile experts from Mercedes-Benz for their electric-car project, code name iCar “Titan“. Alegedly the Cupertino company is secretly moving employees around to push forward project Titan. It is expected to be preparing an entry into the driverless automotive market. When it comes to electric, self-piloting cars, Apple will likely be taking the ‘my way or the highway’ approach – as usual. Google is taking the opposite route and already cooperating with the Automotive industry, many have praised this approach as sensible and wise. Apple’s ultra secretive strategy has helped the company in the past, but eventually these cars need to be tested in the real world. Apple certainly has enough money to acquire a car company, if they really want to keep things in-house. Apple is maintaining a total radio silence, though even if it did have a better product it wouldn’t reveal this until it is fully ready. But what could we all expect from it? It will most likely have a non-standard charging port, non-replaceable batteries, misleading maps, and will not have any Windows, probably. Would Apple sue all other car manufacturers for having round edges though? Needless to say, this would inevitably be one of the biggest clashes of these two Titans, and we eagerly wait to discover what unfolds next. Let us hope that Google does not loose ground, again (Android Smartwatches). At the end of the day, it’s not about who is the first but rather who’s the best. Please don’t hold your breath.